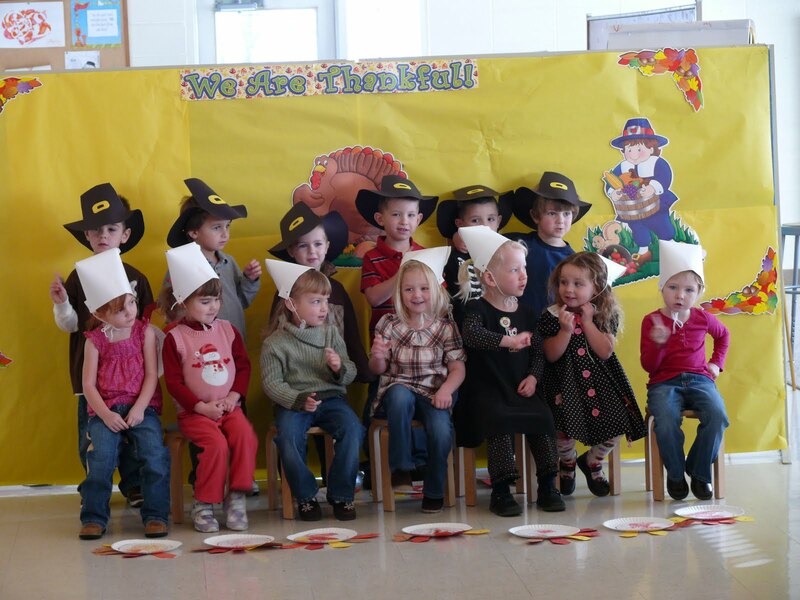 Hayden started the holiday season off with a Thanksgiving performance at Pre-school. 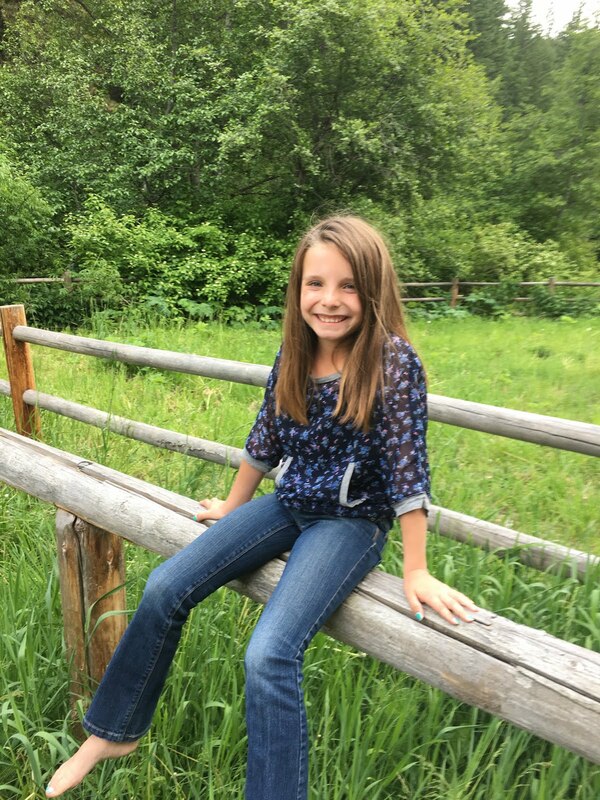 The group attempted to sing a few songs, but mostly it looked like a parent photo shoot. 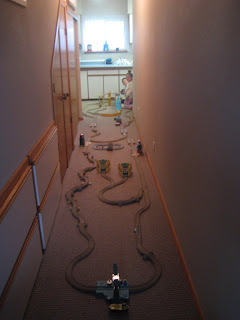 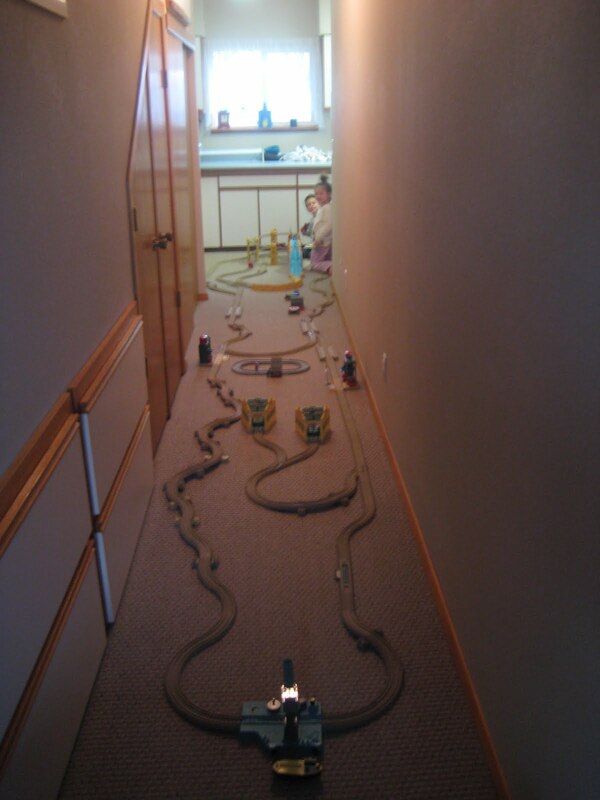 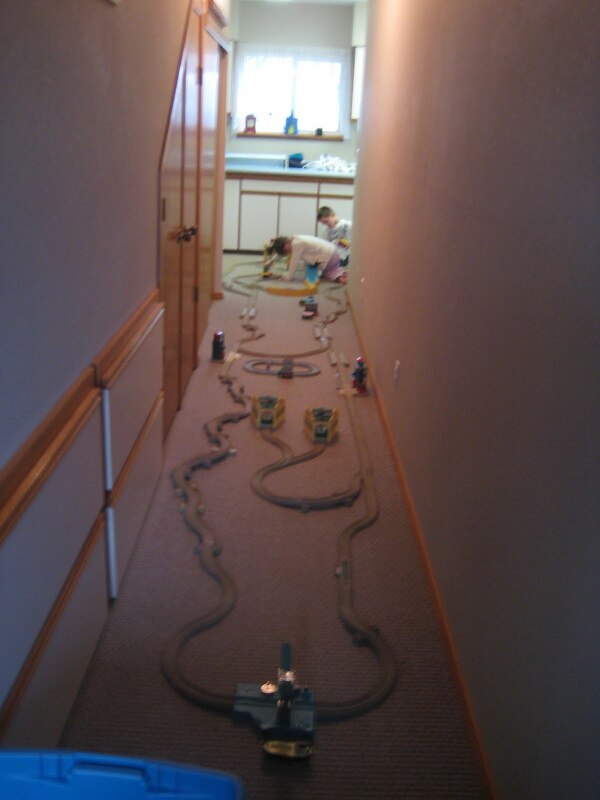 Hayden, Austyn, and I spent a good deal of our Thanksgiving setting up this hallway track of Thomas the Train.